A NIGHT OF ROMANCE !! Come Along & Dance The Night Away. Since love is in the air, all throbbing hearts are gearing up with something or the other to surprise and celebrate their love. Bring your valentine and dance all night. An evening of favorite love songs!! 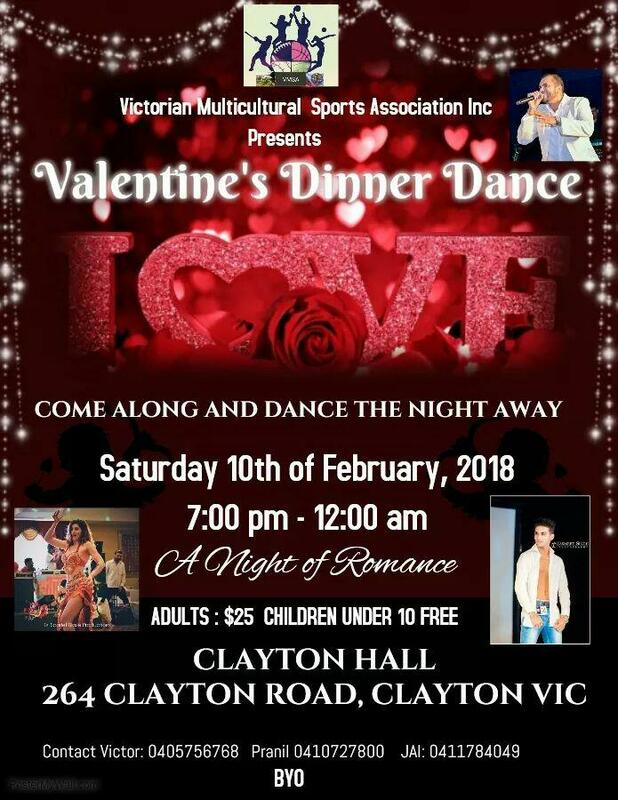 Victorian Multicultural Sports Association Inc. brings you Valentine’s Dinner dance on 10th of Feb 2018 @ Clayton main hall. Experience an Unofficial Affair this Valentines Day at CLAYTON HALL with some enchanting music! Flutter your hearts over sumptuous delicacies…Spoil your loved one with a romantic Dinner Date. We hope to see you there! Our party is open to all who love to have a good time. Bring your valentine along as you’re in for a time to remember. Non-stop entertainment all night long!!! 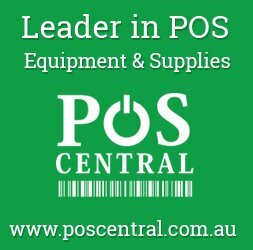 Share it with your friends !! Dance away the night with Himmy Kumar singing romantic songs travelling from Brisbane. Talented Krish Kumar performing Bollywood dance . Scarlet Blaze performing belly dancing to keep your night entertained . Will get a chance to meet Rj Dharam Nair from Bollywood masti, RJ Kesh Masih Bulla Namaste team travelling from Sydney and also Rjs from Mastana Mast radio . Lots of prizes to be won for the night, come along and enjoy the night with your family . Premier Tickets Australia is proud to be the online ticketing partner for Valentine’s Dinner dance on 10th of Feb 2018 @ Clayton main hall.